Matt & Shannon are perfect together. They are a couple who are so relaxed and comfortable around each other. Being around them even just for a couple of minutes you can tell immediately that they are each other’s Best Friend. Despite the rain on their wedding day, they had a very touching ceremony surrounded by their loved ones. I was so excited when Shannon contacted me a couple of days later wanting to do another session of just her and Matt. Luke was able to join me the second time and we had alot of fun with them. Looking at the pictures you wouldn’t be able to tell that it was freezing that day! Shannon really pulled it off! 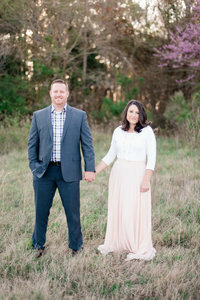 Without the stress of the wedding day, these two were really able to relax and have fun with their session. We weren’t on a time restraint so we were really able to take our time with them and get some great pictures. I think I will have to give this idea to future Brides of mine who don’t do a First Look. This second shoot really takes the stress off and you can just focus on having fun as husband and wife. Hope you enjoy these Shannon!